Long known as “The Cameraman’s Director,” the Master of Suspense regards himself as primarily a film technician while explaining his methods of working with cinematographers, production designers and editors. We detail his approach in this Flashback interview here. Responding to feedback from users, this NZCS website has begun to display prices GST inclusive. This means that prices now include 15% GST so you know what your outgoings will be before you begin registering for an event or renewing your membership. Many of our members are registered for GST and will be able to claim GST back, and what's more NZCS membership fees are a tax deductible expense, along with most event attendance and the NZCS Awards entry fees. Overseas corporate members should contact NZCS about GST for further advice. 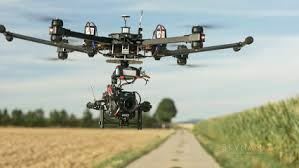 The Civil Aviation Authority (CAA) is undertaking a review of the drone rules introduced a couple of years ago. They are asking for input and feedback via an online survey. Part 102 - Unmanned Aircraft Operator Certification. Phase one of this review is a short survey developed in consultation with the Aviation Community Advisory Group. suggested changes to the rule framework. Your feedback will provide valuable insight into New Zealand’s RPAS sector, help the CAA determine whether these rules remain fit for purpose, and will inform further policy analysis and next steps. This survey and review isn’t limited to RPAS/UAV users and operators - we want to hear from as many people as possible. You can help the CAA by sharing the survey with anyone who has an interest. Once the survey results have been compiled and assessed, a summary will be added to this web page, along with other updates. If you’re interested in being kept informed of progress on this review, please email us. You can also subscribe to the CAA’s Part 101, Part 102, and RPAS Email Notifications. The information on this post is sourced from CAA website: Post-implementation review of New Zealand’s rules for Unmanned Aerial Vehicles (UAV) / Remotely Piloted Aircraft Systems (RPAS). The NZCS Camera Pathways programme is entering a new phase which will make it much easier for the camera community to use. The expanded and relaunched program will be partnering with invited film schools and sponsors. 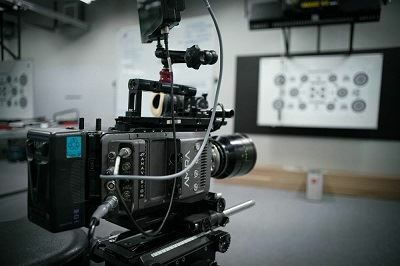 The need for Camera Pathways arose because despite the ease with which somebody can get a camera and begin to shoot, it has never been harder to get a foothold in the camera department in the professional screen industry, particularly for women and minorities. Camera Pathways is a way of finding camera department trainees from a pool of new entrants who are committed to a career in camera. The program helps launch the careers of the best new camera talent, whatever their gender or ethnic background. Camera Pathways participants are recommended by film schools or apply to join the programme, and as they gain experience, they build a list of referees. If you are a camera assistant, director of photography, production manager, or anyone else looking for camera crew volunteers, trainees, or entry-level crew, you no longer have to wade through half remembered, unsolicited CVs, or wonder how to find someone to help. Now you can search the Camera Pathways directory for suitable talent in your area and quickly and easily give the most likely candidate a call, and call their referees. If you do engage a volunteer to help with your project in return you can agree to act as a referee for them – so long as you are comfortable. If asked about the trainee by a potential employer you are free to give an honest opinion. The difference in the way that 35 mm lenses and 65 mm lenses look was highlighted at an NZCS lens event hosted by NZCS silver sponsors Imagezone in early May. A good number of NZCS members and friends watched footage from the new Leica Thalia lenses which cover the large image circle of the Alexa 65, leaving a generous margin to cover the new Red Vista Vision size sensors. Rainer Hercher from Germany and Osamu Tsukada from Japan represented CW Sonderoptics, the makers of Leica cine lenses. They arrived in New Zealand after attending NAB 2017. Side by side comparison of 35 mm and 65 mm footage with a similar field of view highlighted the difference in look between the formats, in particular the more noticeable focus drop off on the larger sensor footage, thanks to the longer focal lengths required for the equivalent field of view. Hercher says the new range of Thalia lenses share the same skin texture as the Summilux series of lenses and hark back to vintage designs with a slight focus plane curve which makes the image pop because it is more consistent with the way the humans vision works. A dramatic defining characteristic is the circular iris of the Thalia lenses, which throws circular flares and bokeh, quite different effect from other lenses. The lenses are compact for 65 mm lenses, which in this case represents a trade off against high speed. This is practical thanks to the speed of modern sensors, says the company. The highlight of the presentation was a painterly camera test shot by Darius Konji on an Alexa 65 mm that showed off the capabilities of the new lenses. The event rounded off with socialising, discussion, and an opportunity to look at new equipment at Imagezone, including newly acquired lens calibration equipment. From 1 April 2017, the way contractors pay their taxes changed, giving greater choice and making it easier to get tax right. This is an expansion of existing on schedular payments which is the name the tax department uses for payment to contractors like crew that will be subject to withholding tax. Contractors already under schedular payment rules must complete the new tax rate notification form (IR330C) when you start any new job on or after 1 April 2017. On this form, you pick the rate you would like tax to be deducted at. New Zealand tax residents can pick any rate from 10% up to 100%. If you want to change your current tax rate, complete this form and give it to your payer so they can make the changes. This information has been sourced from the Ministry of Business, Innovation and Employment. Staunch corporate members and equipment dealer Photogear are opening a new store in Ponsonby on 6 March 2017. 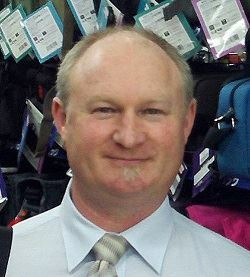 The store is the second Auckland store for the company, who also have a store on Constellation drive on the North Shore. Staunch corporate members and equipment dealer Photogear are opening a new store in Ponsonby on Monday 6 March 2017. The store is the second Auckland store for the company, who also have a store on Constellation drive on the North Shore. "We are coming into town to save city customers the drive across the bridge," says founder Jay Zhou. "Now they can simply drop in whenever they are in the area." The new store is located at 49 Mackelvie Street, Ponsonby, and Jay Zhou says doors open on Monday 6 March at 9:30 with a selection of grand opening specials and parking on site. Congratulations to NZCS member Aaron Morton NZCS who has again been nominated for Best Photography in a Drama Program or Series in the 2017 Canadian Screen Awards. A win would mean a four year winning streak for him and for the series Orphan Black which began in 2013. The series follows the story of a streetwise hustler who is pulled into a compelling conspiracy after witnessing her doppelganger's suicide. This year's nomination is for the episode entitled From Dancing Mice to Psycopaths while at last year's NZCS Awards for Cinematography Morton picked up a gold for the Season 3 Orphan Black episode entitled Certain Agony of the Battlefield. The Canadian Screen Awards winners will be announced on 12 March. 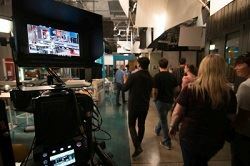 One evening recently, after shooting had finished for the day, NZCS members and guests received rare insights into cinematography on Shortland Street. 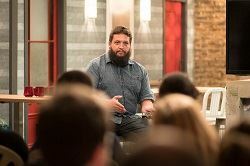 One evening recently, after shooting had finished for the day, NZCS members and guests received rare insights into cinematography on Shortland Street. The NZCS event was held within the actual Shortland street set, once everyone had signed their non-disclosure form. 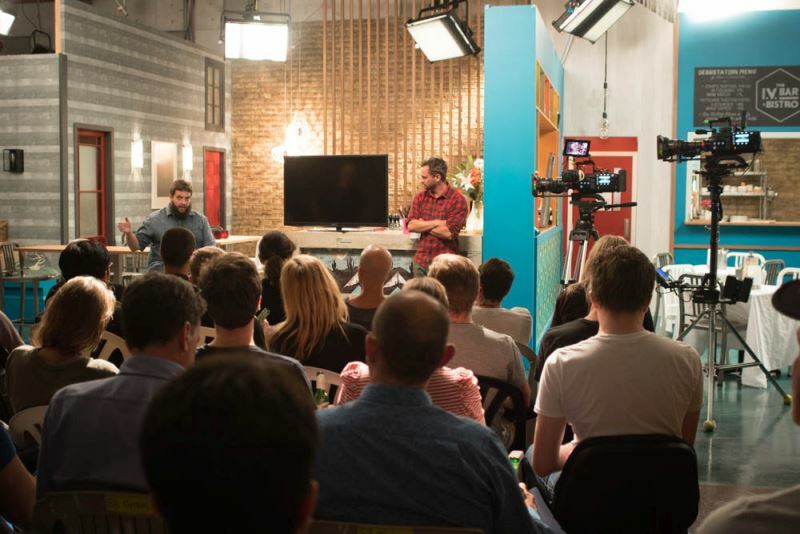 In a conversation enlivened by lots of detailed questions from the audience, Simon Tutty, one of the directors of photography, and Dylan Reeve, post production supervisor, explained how, with the crew’s help, they shoot about 120 minutes of broadcast television per week. It is a relentless schedule that sees them limited to around three weeks off Christmas. 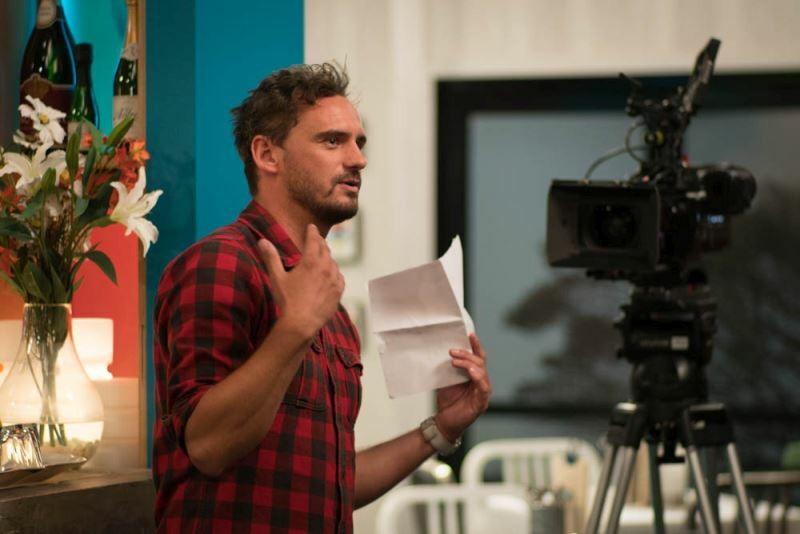 But as Simon Tutty pointed out, the sheer amount of time spent in a three-camera dance with pedestals and a steadicam means that the motor and craft skills of the crew get to be pretty good, making it an ideal training ground for new camera crew. 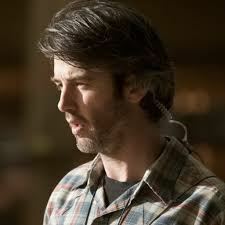 A script was circulated so that the audience could see the starting point, and Dylan Reeve (pictured) played a number of clips to illustrate and explain the final product. He also contrasted two before-and-after scenes that showed the marked improvement in look created by introducing Panasonic VariCam 35 cameras and Canon zooms last year. The more more cinematic perspective provided by the sensor was immediately obvious, but also less light is required, and they have the option of off-speed shooting without any additional equipment. This was amply demonstrated with a slow-motion clip showing a patient’s admission and treatment in the ED department. Using cinematography like this to tell the story rather than spelling out everything in dialogue is something Tutty expects to offer directors more of in future as he explores ways to keep the show fresh – despite the relentless schedule. Time to offer our congratulations to NZCS Platinum sponsor ARRI who have reached the amazing 100-year milestone. 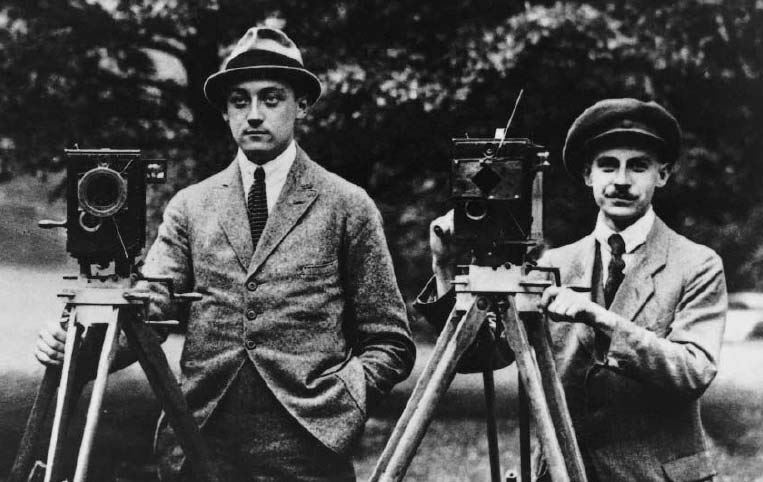 2017 marks 100 years since August Arnold and Robert Richter rented a small former shoemaker’s store in Munich and set up shop as a film technology firm. The two young friends started with just one product: a copying machine they built on a lathe Richter had received as a Christmas present from his parents. 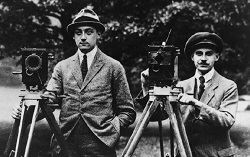 Taking the first two letters of their surnames, they christened their new enterprise ARRI. In Sydney, Australian GM Brett Smith (pictured) who joined ARRI last year says the company has just celebrated a record year in camera and lighting. "That success has not been achieved by chance," he says. 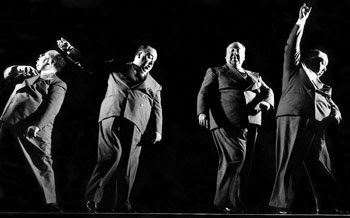 When the company was founded the partners were teenagers too young to to sign the incorporation documents. Executive board member Dr Jorg Pohlman says first and foremost the pair were film enthusiasts, driven by a love for visual storytelling and technology.